Automated Skype calls spreading fake anti-virus warning, where an automated message (what I like to call a "Digital Dorothy") warns you in a semi-robotic voice that your computer's security is not up-to-date. "Attention: this is an automated computer system alert. Your computer protection service is not active. To activate computer protection, and repair your computer, go to [LINK]," says the robotic voice during a prerecorded message. The offered link takes the most gullible and curious ones to a page that shows the typical "Computer protection inactive. Scanning… Viruses found!" message that is meant to convince them to fork over a decent amount of money - in this case, $19.95 - in order to get the offered protection.Not content with the money, they also ask for their personal information. 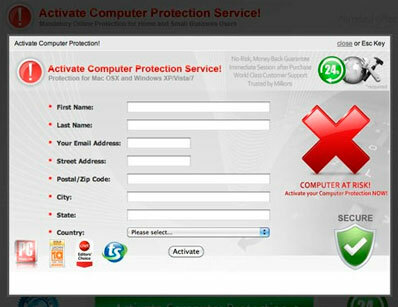 If you weren't aware of fake anti-virus (also known as scareware) scams like this you might well be worried enough to visit the website referred to in the message, where it will pretend to scan your computer's security.